Gross Motor Gym Builds Stronger P.E. Program (and Kids)! At The Lexington School, P.E. is Physical Education HEALTH and WELLNESS , and it is about helping children develop the strength they need for achieving confidence in EVERY area of life. One way is through building strong gross motor skills. There is ample research to support the relationship between improved motor skills and academic achievement in ALL children. 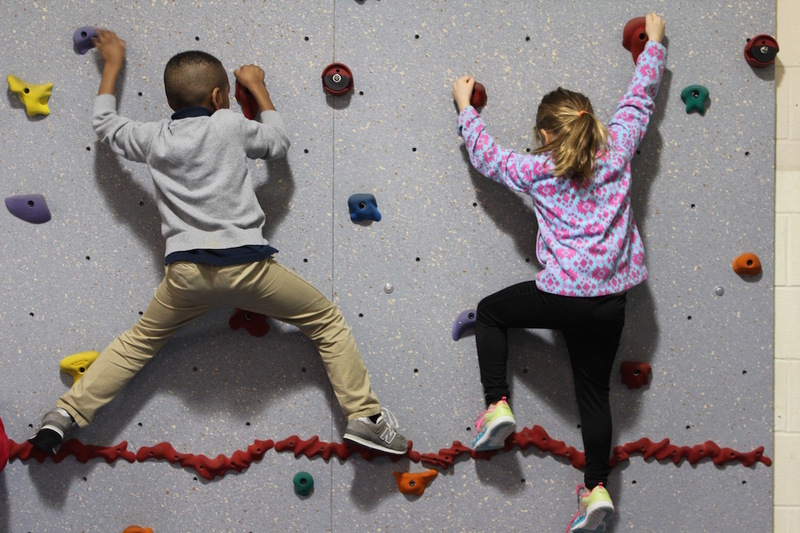 That’s why Donna Hutton (Preschool Director) and Jane Childers (Director of The Learning Center) spent over a year researching how to bring more gross motor depth to the Physical Education program at TLS. They traveled to several schools in Atlanta and collaborated with Julia Kraska of Kraska and Associates to design the best scenario for The Lexington School. Now the school has added new equipment like a climber, zip line, and tire swing to the preschool playground, scooters and other useful equipment for use in hallways and outside. And just this year the school completed the installation of a fully-equipped gross motor gym complete with a 40-foot long traversing wall. Other equipment includes: Kid-Lite barrels, resistive tunnels, super blocks, river stones, bosu balls, roller racers, go-go rollers, line scooters, angle ladders, and much more.